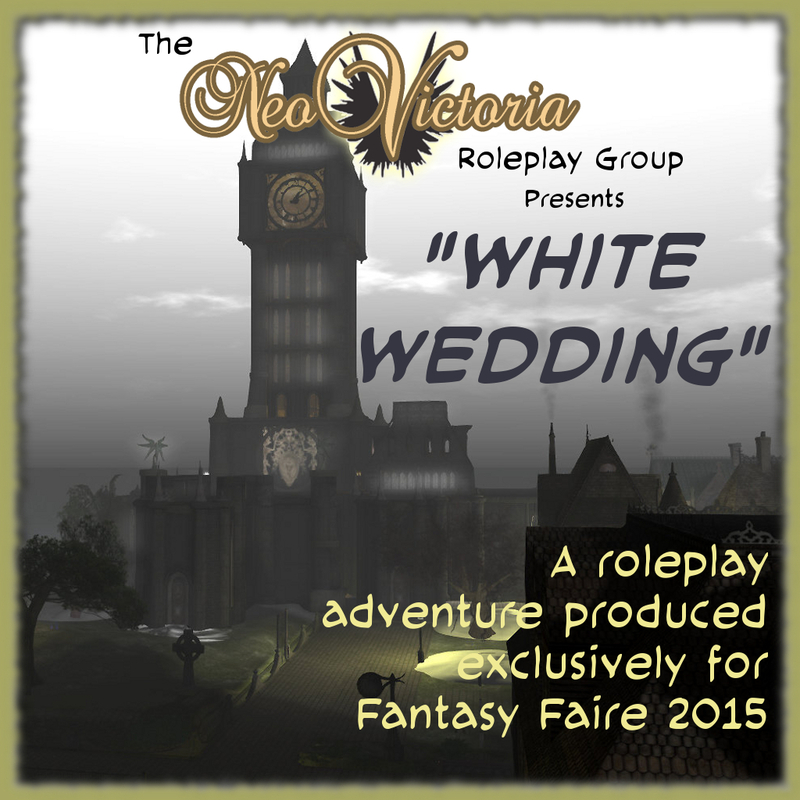 The NeoVictoria Roleplay Group produced this very special series of roleplay events in April 2015 as part of Fantasy Faire 2015. The NeoLondoners celebrate the sacrifice of the lovers with a party and then return to NeoLondon. During the party, a stray dog eats the cake, but the party never flags, as the music, dancing and conversation keep their spirits high. Augustus Whitehill has left, but winter remains. To their surprise, a new visitor appears; the shade of his bride: Nourie Hadig. She tells them of her fate; how her spirit has been pulled from planet-to-planet, always arriving a few days after he has departed. Touched by her plight, the NeoLondoners bring her to the tavern and the room her husband had stayed in. When she discovers he has crossed dimensions, she flies into a rage, breaking objects and damaging Miss Tickta. 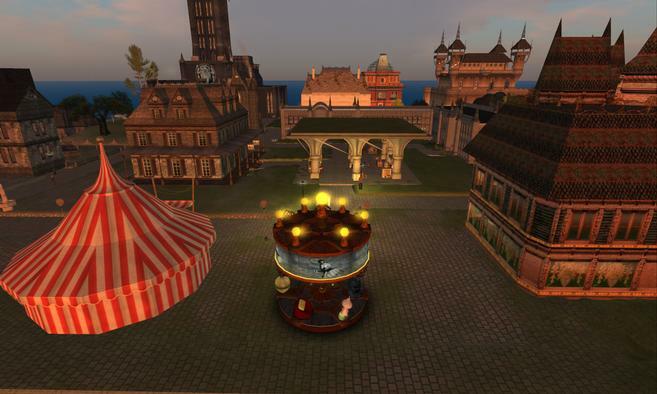 Leander Hatfield uses his deadening gift to disable her; calmness returns and they promise to help her to him. Wherein some of the spellcrafters of NeoLondon help Augustus Whitehill to leave the dimension of the Sidhe Empire, using ancient rune craft and the power stored within the hidden Sidhe slithen under Sidhe Park in NeoLondon. They succeed in their task, sending the groom to Aurora in the Fairelands; unaware their spell has been witnessed by one of the cursed djinn. Players: Players: Asil Karu as themselves; myomy Resident as Myomy Ohmai; Tafiyah Ehret as Keke; Argus Steamweaver as themselves; GhostFacedKiller Resident as Augustus Whitehil; OhDearMe Resident as OhDearMe Ohmai; and Tarquin Evermore as Samuel Bellamy.